Review and compare paint brands Solver Paints, Haymes Paint, Dulux, Taubmans, Wattyl, Berger and British Paints based on their finish quality, durability, value for money, ease of application, range of finishes and overall customer satisfaction. Canstar Blue research finalised in February 2018, published in February 2018. 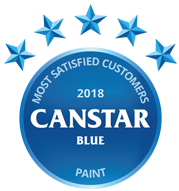 Solver Paints and Haymes Paint have topped Canstar Blue’s 2018 paint ratings, scoring five stars in key areas such as value for money, ease of application, range of finishes and overall satisfaction. Painting your own home sounds like a fun idea – until you’re one wall down and have already spilled something, had an argument and gotten a sore back. However, not all paints are created equal, so certain paints can make the job a bit more pleasurable. To fulfil the Aussie dream of taking full ownership of your own home, applying a lick of paint on a weekend can be a really satisfying job. On paying a visit to the hardware store you’ll probably be surprised at the sheer array of paints available. Wading through the decision-making process can be quite daunting, but luckily, we’ve canvassed the opinions of more than 1,000 Australians who have been in this exact position. We asked them about the paint they most recently used, to get their feedback on a range of factors, including its quality, durability and how easy it is to use. The results are in and Aussie icons Solver Paints and Haymes Paint have taken top spot, achieving five stars for overall satisfaction. Between the two brands, top marks were awarded for finish quality, ease of application, range of finishes and value for money. While one brand did better than the other in some specific areas, we couldn’t separate them when it comes to the most important category – overall satisfaction. 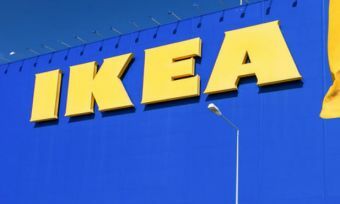 Wading through all the brands in the hardware store can be daunting, but painting is evidently an enjoyable task for many and the ‘DIY’ approach may fit the Aussie home ownership ethos. Here are some of the outcomes from our 2018 survey to give you a little more to think about. Established in 1935, Haymes has been brushing up Australians in their paint game for over 80 years. The Haymes website has a colour library so you can match the perfect colour to the type of mood you want to project in your home. Haymes paint is not available in the big hardware chains, instead selling through some independent retailers. With two Aussie brands at the helm of our ratings, house paint looks to be in safe hands. An icon founded in Australia in 1915, Solver Paints has over a century of painting experience under its belt. 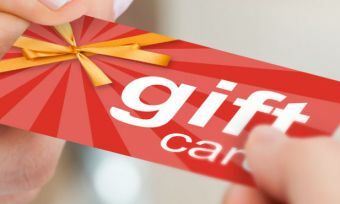 These days, face-to-face service is the main selling point for Solver, which still operates its own physical stores across Australia. However, Solver also delivers a range of online tools to help you plan your paint job, including its Colour Designer, which allows you to browse through more than 1,300 colour options. Dulux is world famous and provides a vast range of interior and exterior products, plus lots of helpful online tools and services to help you get the job done with maximum efficiency. One of the most impressive is the Paint Calculator, which helps take the guess work out of trying to decide how much paint you need. You can also call on the advice of Dulux’s design team to pick the right colours for your project. Dulux is a brand available pretty much everywhere paint is sold, making it a fairly convenient purchase. The Taubmans website is a fantastic resource for planning out your next big paint job. 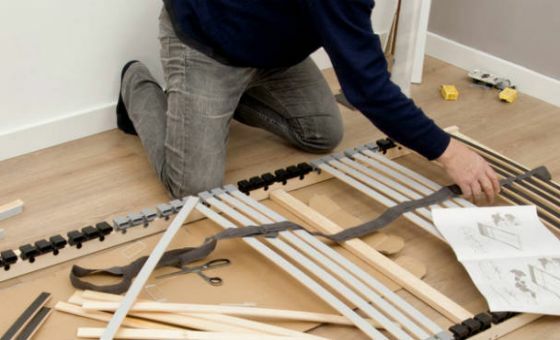 Its Paint Planner literally walks you through the whole process, providing a plan of when to start moving furniture and how long the job should take, as well as recommending types of paint and where you can buy them. You will also find helpful tips on how to pick the right colour for your room, as well as a paint calculator and DIY videos. If you’re interested in following the latest colour trends, you will need to check out the Wattyl website. Its trend insights report is certainly an eye-opener and may offer some inspiration for your next job. The website also provides a virtual planner where you can upload images of your own home and explore colour options. Perhaps its most famous range is the ‘Solagard’ range, suited for harsh Aussie climates. Berger’s motto is ‘Keep on keeping on’, which is an apt motto for painting your house. 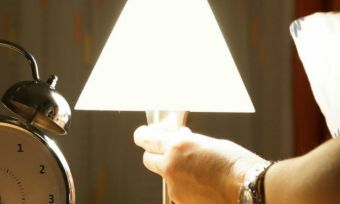 Berger offers an ‘inspiration’ corner on its website, as well as in-depth DIY videos. 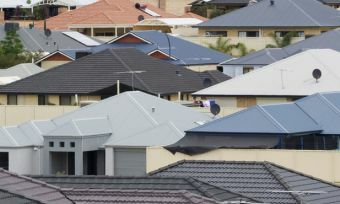 Berger has three ranges of paint labelled ‘Berger’, ‘Berger Jet Dry’ and ‘Colorbond’ – the latter of which matches your paint to Colorbond’s colours for roofs, fences or gutters. British Paints is sold exclusively at Bunnings. But before you head in-store, be sure to check out the useful tools on the British Paints website, including its ‘Colouriser’ feature that allows you to visualise what certain colours could look like in various rooms. British Paints was last year’s top-rated brand, but this time has to settle for three stars overall. Canstar Blue surveyed 3,000 Australian adults across a range of categories to measure and track customer satisfaction, via ISO 26362 accredited research panels managed by Qualtrics. The outcomes reported are the results from customers within the survey group who have bought and used house paint in the last three years – in this case, 1,066 people.